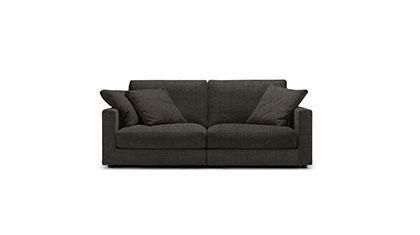 The Thomas sectional sofa is available in standard dimensions or can be custom made according to your needs. Shop on-line or in one of our showrooms, our furniture consultants are ready to assist you. Unable to think about anything other than a beautiful and comfortable sofa that will fit the space you have in your living room? Well then stop imagining, the sectional sofa Thomas is just for you. Modern and fabulously generous the Thomas sectional sofa welcomes you with the softness of her feather filled cushions, while the components give you the fantastic opportunity to create the composition that will adapt to your space. You’ll feel pleasure and excitement to order a custom-made sofa. The Thomas sofa is completely custom made by master craftsmen in the dimensions of your choice with the materials that allow for your level of comfort. A team of professionals makes the Thomas sectional sofa.